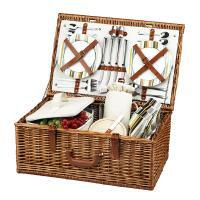 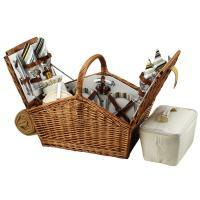 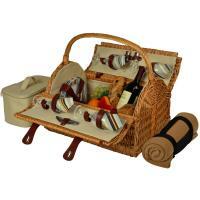 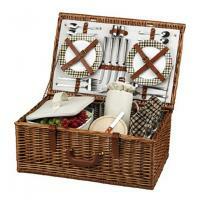 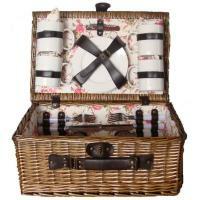 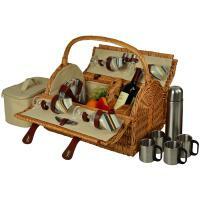 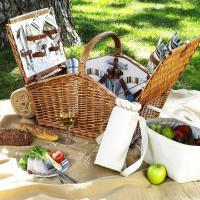 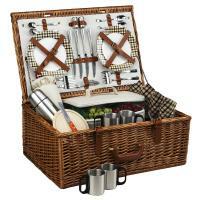 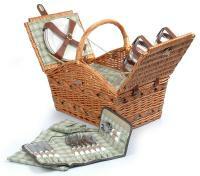 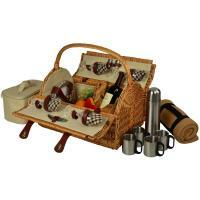 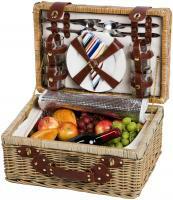 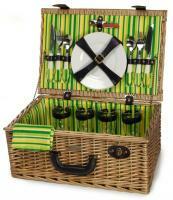 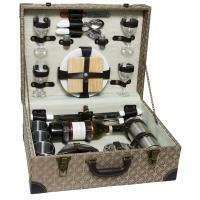 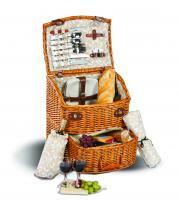 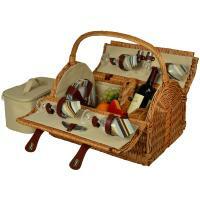 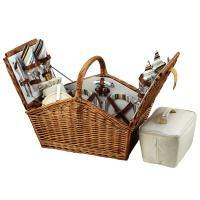 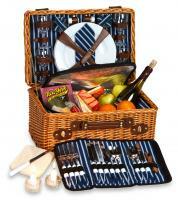 What better way to spend quality time with family or a group of friends than a picnic? 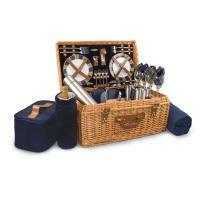 Our picnic baskets for 4 are specially designed to accentuate any group outing, whether you're cooking out with the kids or sipping wine with friends. From sleek-looking totes to willow baskets, these picnic baskets for 4 are made with durability in mind, to ensure that your picnic wares will make it to their destination undisturbed. 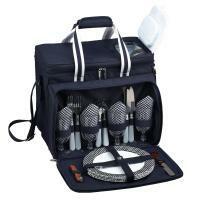 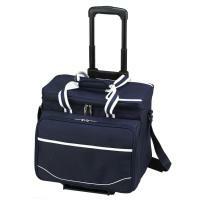 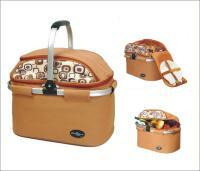 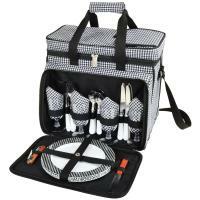 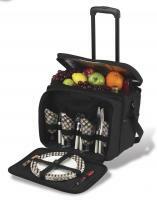 You can also keep food and beverages cool, with a variety of insulated options. 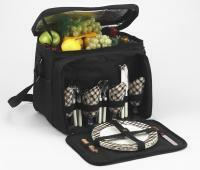 Silverware, wine glasses and napkins are standard accessories, while cutting boards and wine bags are also available in some models. 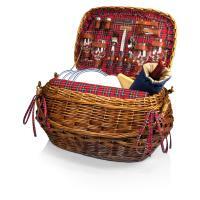 If you're looking for eco-friendly picnic flair, picnic baskets for 4 are also available with natural cotton napkins, chemical-free cotton insulation and wine glasses made from recycled glass. 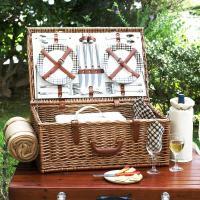 At Picnic Word, we have the biggest selection of picnic baskets on the Internet, so take a stroll through our inventory and find the perfect basket for you and your family.